There is always a client that pushes you to find solutions to problems you didn’t know existed. In this particular instance I had a customer that didn’t like the fact that Email Templates sent from Salesforce came across in email clients as fairly “skinny.” The body of the email was 550 pixels wide. With a bit of experimentation I found you could actually make the body of an email template wider by modifying the template via the API using the Data Loader. This addresses a common complaint that emails sent from Salesforce look centered or centered justified. 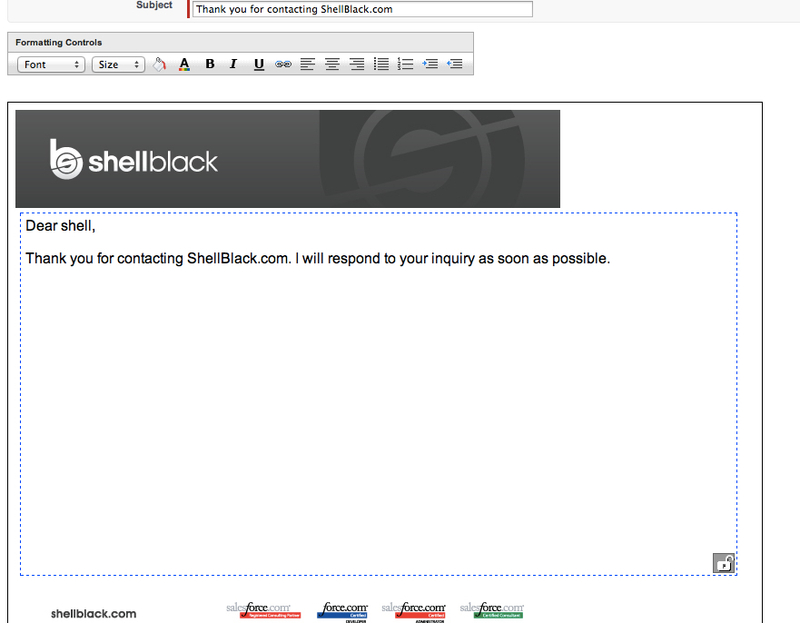 If you widen the email template, it helps makes the email look left justified. There might be other attributes that can be modified, but in this example will go for the width of the email. First off you have to be using Enterprise Edition or higher to use the Data Loader (as it requires the API). I’ve got quite a few tutorials out on our website to learn the basics of the Data Loader, so we’ll jump right into the steps on how to make the modification. 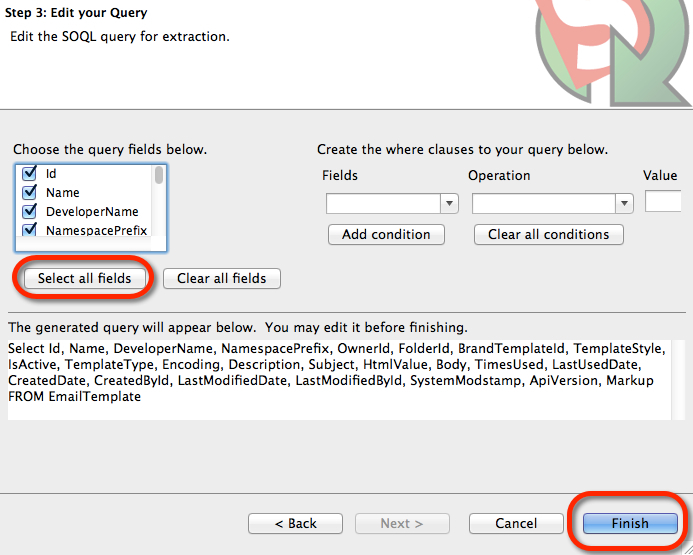 On Step 3 of the wizard, click the button “Select All Fields,” then click the “Finish” button. Open your export file in Excel. There is a field (column) called TEMPLATETYPE. That column will show you which of your email templates are HTML. The field that we want to modify is the column called HTMLVALUE. 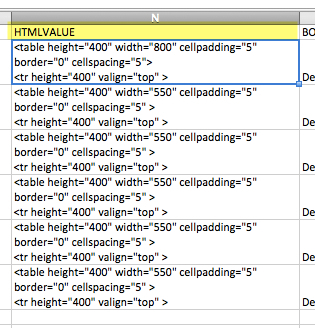 Once you modify that HTML tag, you can use the Data Loader to update the template with the new width value. In my test example I made the width="800″. This is what the template looks like in the email editor in Salesforce. To give you some perspective that Header image is 600 pixels wide – notice that the text is extending past the header image? Here is what the email looked like inside an email client (Mac Mail). Notice the text is extending beyond the 600 pixel header image. There might be other attributes you can tweak. If you find some additional ones – let us know! This entry was posted in Administration, Data, Marketing. Bookmark the permalink.